The LG V35 ThinQ has an excellent camera setup that can record some really awesome video footage. With its dual camera setup, you’ll get only the best high resolution quality, but there’s just one problem that V35 ThinQ is plagued with. Just like any other smartphone on the market, footage comes at shaky, even if there’s optical image stabilization built-in. This is just the way our hands are — we don’t have the precision to make those very careful movements to get cinema-like camera movements. Luckily, not all hope is lost. Put your V35 ThinQ in a video stabilizing gimbal, and electronic motors will work to keep your footage smooth and stable. Not sure what gimbal to get for your V35 ThinQ? Be sure to follow along with us below, as we’ll show you the best on the market! Here are our top picks. One of our favorite options available right now is the DJI Osmo Mobile 2. DJI has taken the stabilization technology it puts in its drones and packed it into a gimbal. Set your phone in the Osmo Mobile 2, and you’ll get the smoothest and shake-free footage that you’ve ever seen. It has a bunch of functions on the handle itself, including start and stop video, shutter, live streaming, panorama, time lapse, and more. 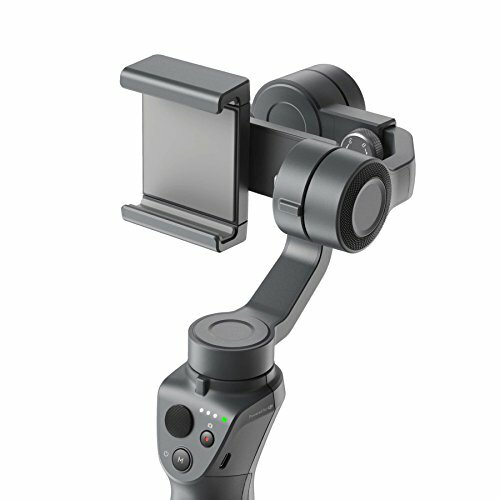 This gimbal connects up to your LG V35 ThinQ through Bluetooth, which means the Osmo Mobile 2 does have its own battery. The gimbal battery lasts about twelve hours on a single charge, so make sure that it’s charged up before a day of recording. Next up on our list is the Zhiyun Handheld Gimbal. This one is extremely versatile in that it works with almost any smartphone. The mount is adjustable, so you just have to adjust to the size of your smartphone. It has a lot of features and shortcuts sitting right on the handle, including start and stop video, shutter, panorama, live streaming, and more. This is essentially a cheaper version of the Osmo 2 — you might not get all of the features found in the Osmo 2, but you do get this one at a cheaper price point. This gimbal actually connects up to your phone by way of Bluetooth, so the gimbal itself does have its own battery. The DOBOT Rigiet is a really nice video stabilizing gimbal. 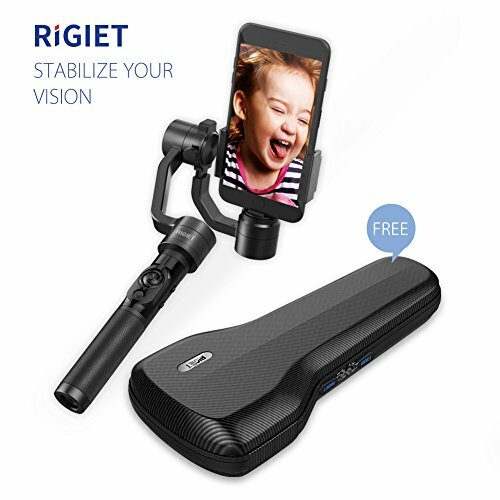 This one has shortcuts right on the handle, including start and stop video recording, shutter, auto tracking, live streaming, slow motion, panorama, time lapse, and more. This is one of the cheaper gimbals that you can find on the market that has all of those neat features right at your fingertips. 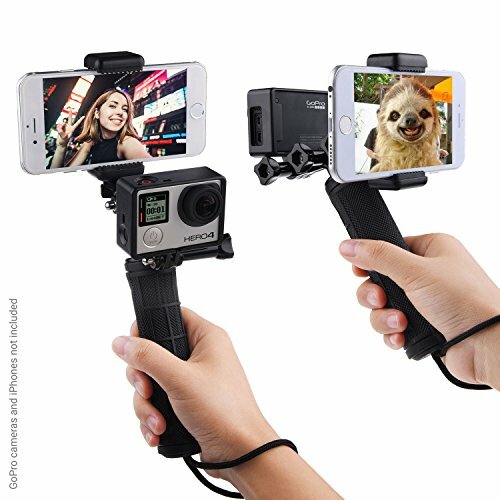 Now, this gimbal is extremely versatile, as you can adjust the clasp to fit almost any smartphone. 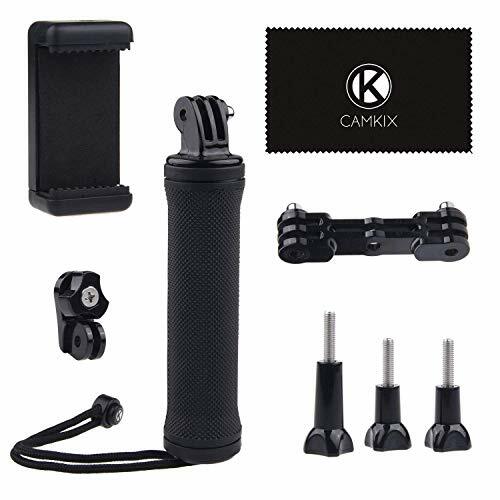 If you’re looking for something on the simpler scale, look no further than the CamKix Stabilizing Hand Grip. This gimbal uses electronic motors to keep your smartphone stabilized and your video footage shake-free. There aren’t any shortcut buttons on the gimbal itself, so you’ll have to tap the functions on your phone to do things like start and stop video. 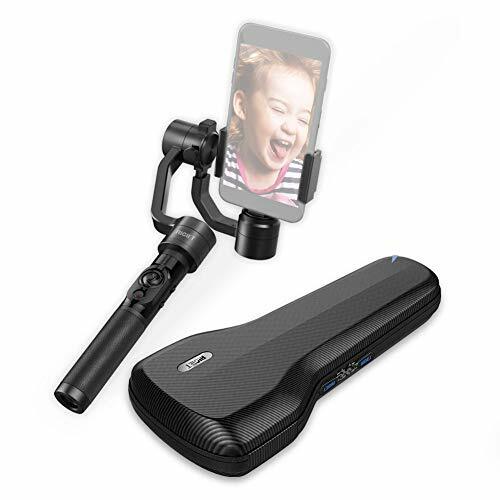 Now, it does have a neat dual-mount system, which allows you to record video from multiple angles — set your phone in the smartphone mount and start recording, and then put your GoPro in the camera mount and start recording. Both mounts are adjustable. If you’re looking for a cross between a video stabilizing gimbal and a full-on recording setup, then look no further than the Movo Smartphone Video Rig. This one has a couple of electronic motors built into the gimbal to keep your video stable, smooth, and free from any shaky footage. 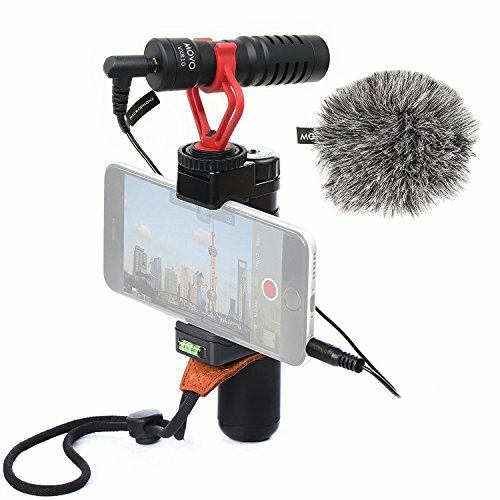 There’s even a great way to increase your audio quality with the dedicated, external microphone on top of the rig. Hook this up to your phone, and you’ll upgrade your audio quality tenfold. This is probably one of the most affordable solutions on our list, costing no more than $55. You can find all sorts of video stabilizing gimbals on the market, but many of them are subpar and aren’t packed with the features that you need. 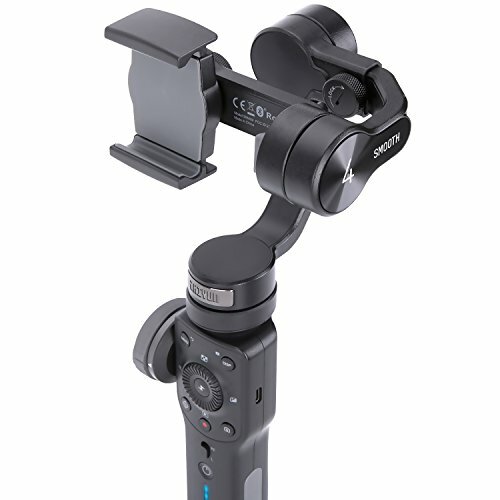 If you really want to turn your video recordings into cinema-like content, then you’ll definitely want to pick up one of the gimbals off our list here — you’ll love what the DJI Osmo Mobile 2 or Zhiyun Handheld Gimbal has to offer.